In August 1972, Idi Amin, then president of Uganda, ordered the expulsion of the entire Asian population from the country. He accused them of mistreating indigenous Ugandans and monopolising the economy. In the nineteenth century, when Uganda was still a British colony, many southeastern Asians were brought by the British government as labourers to construct the East African railroads. Many had also arrived earlier, however, as traders and administrators in the British colony. Sunil Shah was three years old when his family were among the thousands of Asians forced to leave Uganda within ninety days. After almost forty years in Uganda, the family had to rebuild their lives in the UK where they settled. 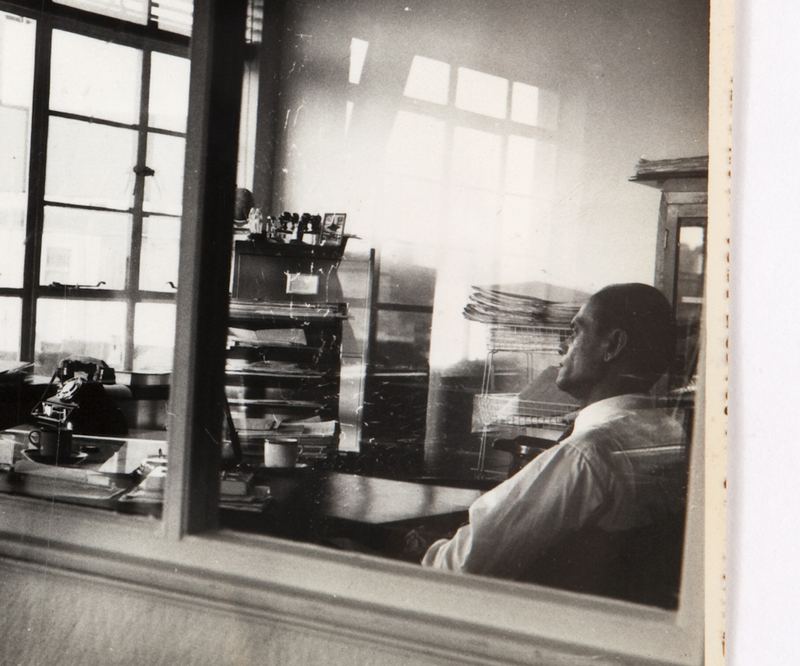 In ‘Sunil Shah: Uganda Stories’, an exhibition at the Pitt Rivers Museum in Oxford, UK (17 February–23 September, 2018). 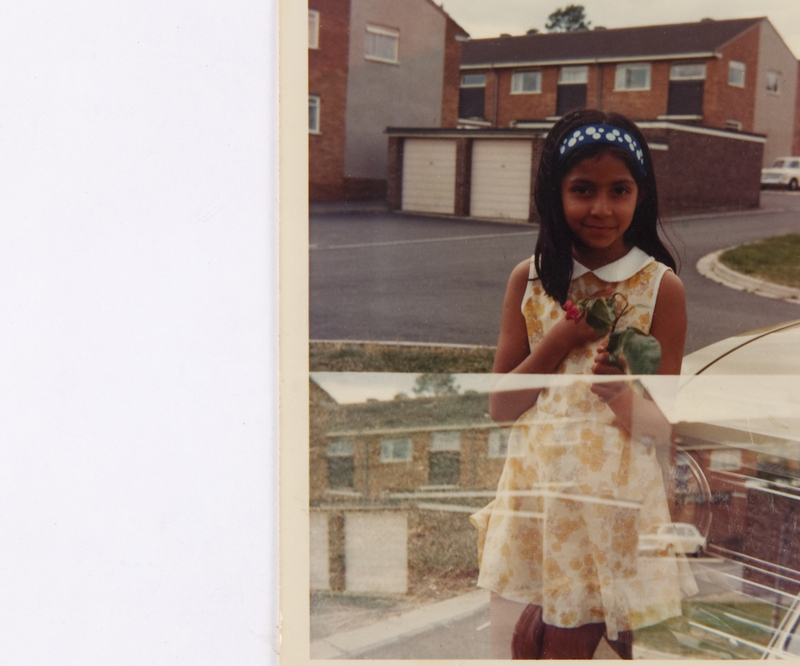 Shah, through family photographs and possessions, pieced together fragments of history to explore his identity as Ugandan, Indian and British. Cropped family photographs in the Family Stories series were partially inserted into frames, creating huge white spaces around the images. 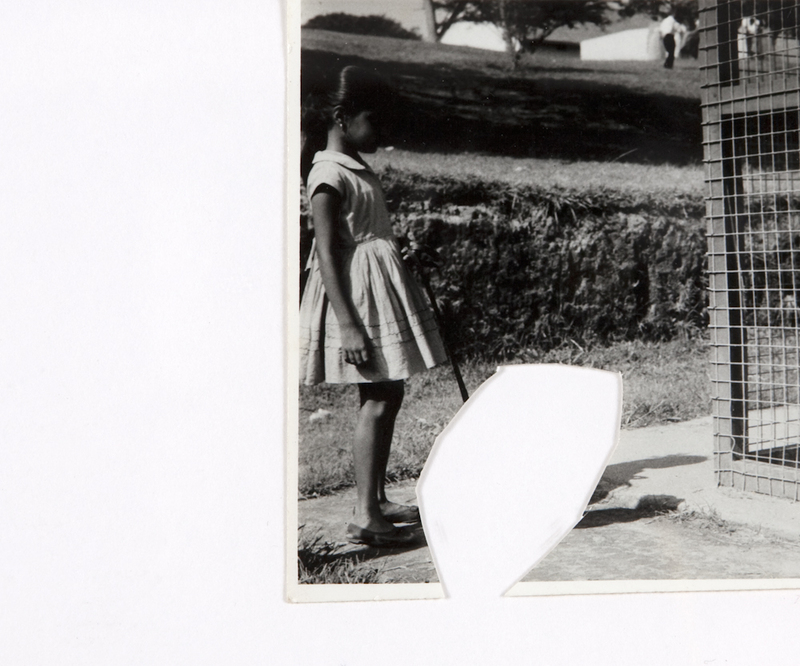 Perhaps these photographs are metaphors for missing and forgotten parts of the family’s history. 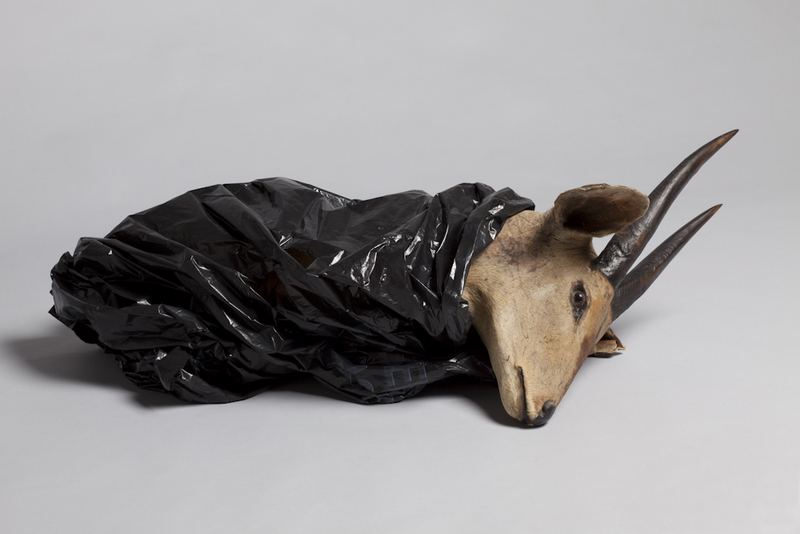 Images of objects brought to the UK by Shah’s family contrasted with objects such as an antelope’s head in a black polythene bag. Here, the objects physicalised loss and displacement. The only text in the exhibition were quotes from the accounts of Shah’s father and two uncles. Occupying just one room, this was a small, intimate exhibition. Siima: Could you tell me about some of your experiences during the expulsion? I know that you were only three years old, but what memories, if any, stand out? How did these experiences shape the exhibition? Sunil: I have very little direct memory of the expulsion or of Uganda – nothing but very vague, fuzzy images in my mind. 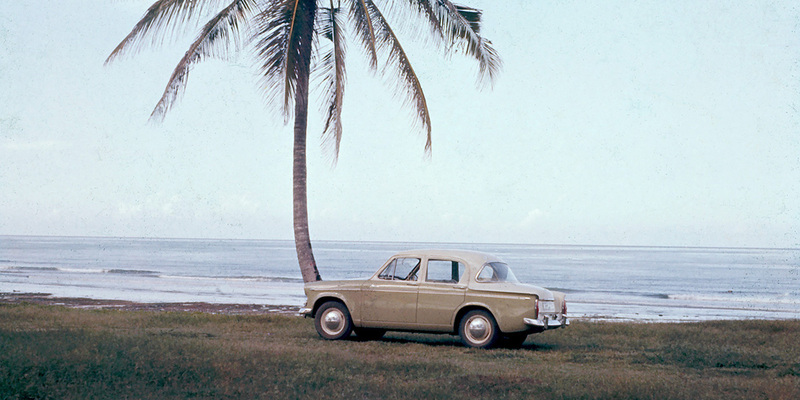 Perhaps some of these exist because as we were growing up in England, as a family we would sit and look at the photographs my parents brought with us and watch ciné film my dad had filmed in Uganda. This was framed by stories my parents told us that recalled the past, our departure and our arrival at the refugee camp in the UK. These secondary memories helped shape my impression of that history. It was never enough, and that is what prompted me to work on this project – the irony being that storytelling and using images could only ever function fragmentally, incompletely, and never be an authentic account of the actual experience. This is partially what the project is about, the impossibility of really, truly knowing anything. Siima: Throughout the exhibition, we saw some incomplete photographs and bits of text. I felt that one of the functions of this fragmentation was to encourage us to form our own opinions of these experiences of the expulsion. I did not feel any particular narrative was being pushed. How important was it to give viewers space for interpretation beyond the experiences of your family? Sunil: I have never wanted to hold a position on this history, especially as I know it is a history that has no winners or losers. It exists rather as a complex set of social and political realities, as a broader part of Pan-African liberation and emancipation from colonial rule. That said, I have also been very aware that certain narratives become foregrounded by the media, popular culture and by communities themselves, that tend to simplify and reduce histories into short anecdotal parts. For example, in the ex-Ugandan Asian community there is a narrative about losing everything and then coming to the UK with little to no money and becoming a success. It is a rags to riches story that people are proud of and that even the UK state recognises. The problem, historically, of only presenting this narrative is that it is not true for everyone, and it covers over other stories and nuanced testimonies that might otherwise be provided. When I started piecing this project together, I wanted to allow space for, as you quite rightly said, interpretation and imagination, a space to contemplate other scenarios than that of my own family history. At the same time, I don’t think my subjectivity is absent from the exhibition. All along the way, I have had to make decisions about what to select, how to frame and how to sequence, and I have never wanted to suggest that my subjectivity is not present and in full effect. Siima: How was the exhibition received by your family? Did it complicate the way that they see themselves in light of the expulsion, or did it reveal to them aspects of this history that they had not engaged with? Sunil: For my family, it was a little like the experience of looking through the family album at home but in a formal exhibition space. I’m not sure all of them ‘got’ what I was doing, but for them, it evoked nostalgia and a sense of feeling proud and excited about our history. Some of them obviously feature in the exhibition, so I’m sure there was a slight feeling of celebrity too! Another thing to mention is that many of the images in Uganda Stories have a deep personal resonance for members of my family. They know most of the people depicted on a close personal level, so their reading of the project is inflected by that proximity in connection. Siima: It seems as if they were very supportive and open to sharing their personal experiences with the public. Was this sense of openness there from the onset or did it take some convincing for them to agree to have their personal experiences displayed so publicly? Sunil: When I started the project, my uncles and my father were happy to help me. They were very generous with their time and their attention to my questions. What I failed to recognise quite early on was that by pressing them for information, we sometimes came across memories that were painful or traumatic, and that is when I felt bad. For example, I realised that, for my uncle, recounting the murder of his best friends at the hands of the military was a deeply painful memory that I was asking him to detail for the purposes of my project. I felt terrible, but at the same time, I saw the value in making sure that people would be aware of what happened and that this was part of the story. I was careful not to sensationalise this but to subtly drop it into the sequence. Siima: How did you avoid any sensationalising? Sunil: I think I did avoid it – unless you think otherwise? The narrative is broken up into a number of short quotes relating to key events and contextual information that runs chronologically through the work. That particular story is not foregrounded or highlighted as anything special, above and beyond anything else that is presented, and so I don’t think I sensationalised it. It just happens to be part of a set of events that occurred. Siima: How would you say this exhibition differs from your previous work such as Embassy (2015) and Making Home (2013), which touch on similar themes? Sunil: I see ‘Uganda Stories’ as a kind of broad umbrella project which manifests itself slightly differently in different spaces and contexts. 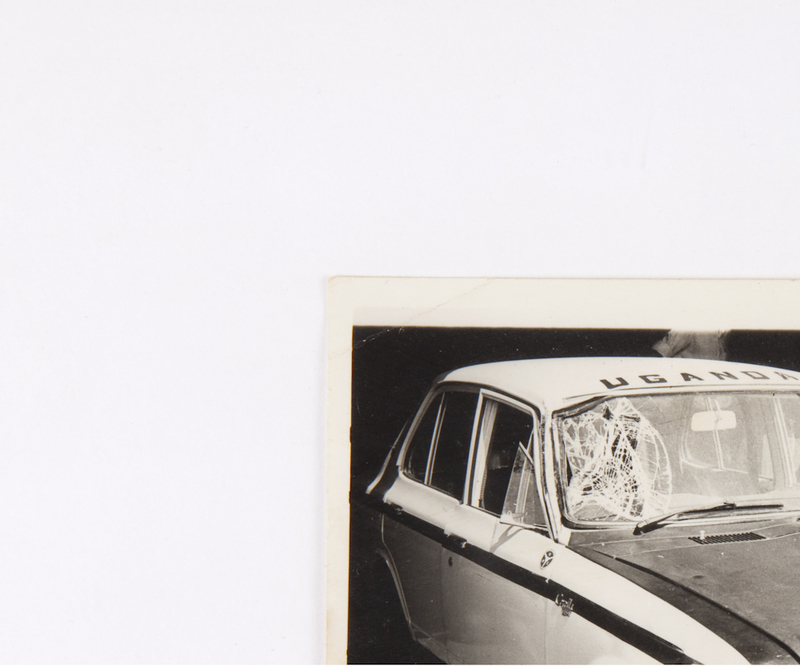 I have been collecting material, family photographs, newspapers, documents, objects and related ephemera since I started the project, so it consists of a growing personal archive of material. As my knowledge and understanding of this history develops, and in the process of my art practice developing, there are different incarnations of the project. There have been three exhibitions so far, in 2012 and 2015 and now in 2018. Embassy was developed in 2015 and has evolved further since then. I see my work as a process as opposed to having a fixed nature, or it being destined for a single form or artwork. This goes against the grain of the way most artists work in that they create a final work or a series of works. But I think the nature of the archive is something that is inert until it becomes activated at different points in time. Each time, a different set of concerns and considerations are addressed. Making Home was not so much a personal project but a community-led and publicly funded initiative involving many people, mostly volunteers. I curated an exhibition of content produced through artworks, oral histories, public collections, texts and archives. It wasn’t my personal work, but was representative of a community's experience and their engagement with this history. Siima: I wanted to talk to you about the use of objects in the exhibition. For me, the display of objects brought from Uganda to the UK physicalised your family’s uprootedness and made the exhibition even more sensory. In what ways do objects function as documents? How do you see them working alongside text and photographs? Sunil: That is an interesting question and one that needs answering on more than one level. Initially, I saw my practice as incorporating only the medium of photography. I was rephotographing photographs and objects. But the more I thought about the idea of 'the photographic’, the more I started to question the role of the photograph. Why was there a need to photograph something if the object was interesting in itself? I was also beginning to be influenced by and interested in conceptual art, particularly the ‘readymades’ of Marcel Duchamp, who first questioned the idea of an artwork and what it could be. Therefore, I decided that when presented in the format of an exhibition, I could present the object instead of a photograph of it. The objects serve as metaphors for loss and the legacy of colonial times. These objects have no practical use anymore, and in the case of the antelope’s head, it was discovered in my uncle’s loft in a black bin liner. Therefore, it seemed appropriate to present the object as such, inside the very bin liner in which it was stored. I don’t think the objects function as documents, they are more repositories of affect, experience and memory. Alongside the text and photographs, I think they add another layer of meaning to the project as a whole. Siima: Words can dictate the way we interact with and process images. Sometimes the way that we view an image can be restricted by the text that accompanies it. Was this ever a concern as you were putting the exhibition together? How do you see images and text working together? Sunil: Absolutely, text was a concern. When placed alongside photographs, words pretty much nail the meaning one wants to impart and this was something I wanted to resist to a certain degree. I wanted viewers to remain open to interpretation and project their own imaginations. Therefore, I decided not to caption the photographs directly and instead use the interview quotes as ‘floating’ text that would be placed nearby, but not appended to any one image. There were also other considerations to make for the text: how much or little to say, how to translate Indian words (if they were used) and how to impart my relatives’ broken English and political incorrectness. In the end, I had to come to terms with the fact that the editing, selecting and framing of the text around the images were all my choices and so there was always a disjunct between what was said in the interview and what was presented. However, I am not presenting this as a factual document, more a set of fragmented fictions based on reality. Siima: How would you situate the exhibition in the context of the current refugee crisis in Europe? Sunil: I’m not sure I would in a direct way, but perhaps there are aspects that are related. I think there is always a tendency to align migrant and diasporic experiences in commonalities. Each experience of displacement involves a set of political and social circumstances unique to that event or period of political history, not only in terms of the source nation, but also in terms of how the experience evolves in the host destination nation. In terms of the actual refugee crisis happening now, it is a much larger humanitarian disaster affecting people from multiple countries. The Ugandan Asian expulsion affected around eighty thousand people over a three to six month period of concentrated movement, and was performed with the assistance of the UK and other governments who came to the help of the refugees. This was because many Ugandan Asians held British passports, or something similar called ‘British Protectorate status’ that afforded certain rights. The refugees stranded in the Mediterranean from North Africa or Asia have little to no sovereign rights and this means a much more difficult process of transition, migration and settlement anywhere. It is a much more serious situation now. If my work shows anything, it is a look back to a distant past in which the passage of time has allowed a space for reflection and contemplation. A similar period of time would have to pass before we can make any real comparisons between the situations. Although I have no doubt that the memories of better times for those in transit now, or those who have recently resettled elsewhere, must have similarities in terms of trauma, loss, melancholy and nostalgia. Siima: How do you relate the exhibition to the interpretation and imagination of the Ugandan Asian diaspora? Sunil: I think the relation I have to the Ugandan Asian history is as you see it. In terms of how the wider diaspora might relate to it, I don’t know. I hope that they may draw from it some memories that are their own, and that it may help them expand their narrative beyond that of the assumed successes of Ugandan Asians here in the UK. Over the years, I have had good responses from the Ugandan Asian community. Many look back at Uganda with a great deal of fondness and remembrance of the good times, the good people and the easygoing lifestyle they had there. They loved the country. I have met a few who became very depressed in the UK and never really accepted the UK as their new home. Finally, there are the second and third generations of Asian children who want to learn about this past and understand the lives of their parents and grandparents; they find it a fascinating and rich history, full of stories. Siima: For me, the exhibition was a huge eye-opener about how little I know of that part of Ugandan history. It made me realise that in Uganda, where I grew up, the expulsion of Ugandan Asians was only framed in socio-political ways, i.e. questions of ownership of the economy. In school, we were never taught about the expulsion in relation to questions of identity, home and migration. Have you thought of exhibiting in Uganda? Why, or why not? Sunil: Yes, it is the prevalence of certain narratives and preconceptions that needs to be challenged through new perspectives. I guess that is what the arts can do: help people think beyond what is either presented to them through popular media, culture, everyday consciousness and even state propaganda. The question of ownership of the economy is a large part of that history and one that needs knowing and understanding, but when there are strong ideological narratives, other important histories, perspectives and experiences become reduced or obliterated. I have never shown ‘Uganda Stories’ in Uganda. I would like that very much, but the opportunity has not presented itself yet. I have also not shown the work in an Ugandan Asian community such as Leicester, which is on my radar as a potential site of dissemination. Sunil Shah (b. 1969) is an artist, curator and writer based in Oxford, UK. He has a BA in photography from the University of Westminster and a MA in history of art from Birkbeck, University of London. His work has been shown at The Photographers Gallery in London, Brighton Photo Fringe, and New Art Exchange, Nottingham. Shah has also curated or co-curated exhibitions at the Pitt Rivers Museum, Royal Geographic Society, the Royal Institute of British Architects, Brighton Photo Fringe and New Art Exchange. He is Associate Editor of American Suburb X (ASX) online visual culture platform, and has published essays, reviews and interviews there and in Source Photographic Review and the London Art History Society Review. Siima Itabaaza is a writer from Kampala, Uganda. She holds a bachelor’s degree in International Development and Politics from the University of Manchester, and in 2015 completed her master’s degree in African Studies at the School of Oriental and African Studies (SOAS) in London. Her master’s dissertation was entitled ‘Being the “Big Man”: The Role of Performativity and Aesthetic Elements in “Big Man” Politics in Uganda’. Her work has been published online for The London Magazine, gal-dem and Flux Magazine. Siima has featured in panel discussions at the ‘Film Africa’ and ‘ourselves + others: african feminist re-CREATIONS’ festivals. She is also a co-founder of Tom-bebe-sa, a platform that explores the intergenerational impact of migration among African and Carribean diasporas.